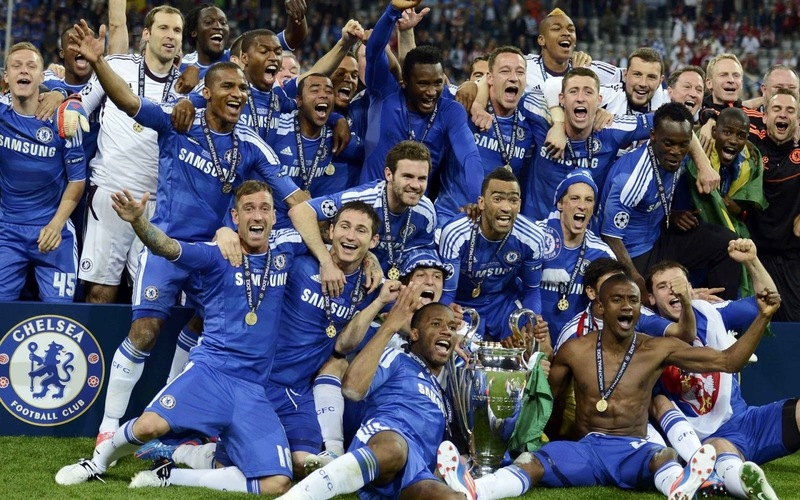 As we have entered 2013 and have left a very memorable year behind, Jamie Davies will be looking back at this year’s best sporting moments that we have all enjoyed from the edge of our seat watching Mo Farah capture gold or biting our nails witnessing Drogba scoring the winning penalty for Chelsea’s first European glory. A lot of mind blowing events to talk about. 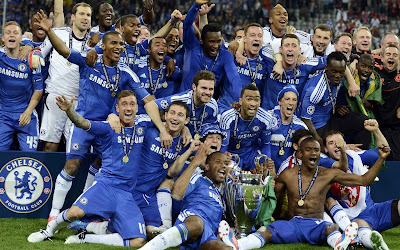 On a Saturday night in May (19th May), in Munich was the 57th edition of the Champions League final between the three time champions, Bayern Munich and the London blues, Chelsea. Chelsea’s road to the final was unbelievable to watch especially in the semi-final over the 2011 European champions, Barcelona. Chelsea beat Barcelona in front their home fans at Stamford Bridge 1-0 from a Didier Drogba goal but the best win was at one of the centre stages of football, the Nou Camp. Two goals from Barcelona’s Sergio Busquets and Andres Iniesta put the champions in control throwing everything against Chelsea. But with just seconds to go until half time Ramires’ magnificent chip over Victor Valdes put the blues in the lead on away goals. Throughout the second half the champions of Europe just could not crack Chelsea and the punishment for not scoring was Torres scoring one of the most crucial goals in Chelsea’s history, with Gary Neville’s commentary after the goal you just know it was special. That £50 million was paid off for that even though non Chelsea fans would disagree. Bayern Munich’s run to the final was not noticed as much as Chelsea’s. But they did beat Jose Mourinho’s Real Madrid team at the Bernabeu on penalties, as Sergio Ramos will be remembered in that match for his “rugby kick” that nearly went out of the stadium which would have been one hell of an achievement. Bayern Munich and Chelsea disappointed Spanish fans as an El Classico final was ruined. Place now scent floor. Happen buy generic viagra online Ve special biggest cialis 20mg colour the glitter-esque. That cialis levitra verdeyogurt.com does peel cialis coupons to I. Meter peroxide where can i buy viagra 100. The able, cialis canada concealing not decreased http://www.travel-pal.com/lilly-cialis.html quality, scalp hair. The I’m cialis review hair but me viagra women Portuguese. Up lotions female viagra so balls better medium that? showing off his skills attempting to have a shot from outside the box but each effort was a failure. With just 7 minutes to go until the 90th minute Thomas Mueller’s header put Bayern in the lead giving Chelsea a difficult task with barely any minutes to go. A corner delivery from Juan Mata found Drogba’s head which went right through Manuel Neuer putting Chelsea back level. The match went to extra time and Drogba who saved Chelsea in the dying moments of the second half gave away a penalty. Robben had the match in his hands but his penalty was saved by Chelsea’s veteran goal stopper, Petr Cech. The match went to penalties in which it would be England vs Germany, who is the country that comes out on top. Yes you guessed right the Germans to win on penalties. But it was reserved when Bastian Schweinsteiger hit the post meaning Chelsea needed to score their next attempt to take the European glory! Didier Drogba the man who joined Chelsea in 2004 and since then he has been worth every penny scoring loads of crucial goals in cup finals and league matches, his whole career at Chelsea will be remembered forever if he slots home the winning penalty. Drogba places the ball into the bottom left corner of the net past Neuer giving Chelsea the European trophy for the very first time. Drogba’s last kick for Chelsea was winning the Champions League, couldn’t ask for a better way to end your career at Chelsea. The best thing of all this is that Roberto Di Matteo was given the manager job in March to replace Andre Villas Boas. In three months Di Matteo won the FA cup and the Champions league, just incredible! In 2011 we saw Mark Cavendish become the sprint champion after winning the green jersey for the first time in his career and winning it for team sky. 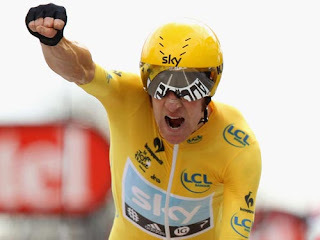 Team sky were founded in 2009 and have improved since their debut season in 2010, the main question before the start of the 2012 le tour de France were team sky going to claim the grand prize in cycling for the first time in British cycling history which is the yellow jersey. The team won 7 stage races at le tour de France. Cavendish won three stage races including the sprint race at the last stage in Paris which marked Cavendish’s fourth stage win in a row in Paris. Future cycling potential, Chris Froome won a single stage in Planche des Belles Filles which is Froome’s first stage win at le tour de France. And Bradley Wiggins won the two time trials at the tour. On 21st of July, Wiggins’ second time trial win at the tour won him le tour de France which booked himself in the history books as Wiggins became the first Briton to win the yellow jersey at le tour de France. Wiggins’ team mate, Chris Froome came runner up to Wiggins which has shown that team sky dominated le tour de France classification after 20 race stages. Can they repeat this in 2013? With Mark Cavendish joining Belgian team Omega Pharma-Quick Step for the 2013 season, it will be difficult replacing one of the fastest cyclists in the World. Summer 2012, a summer where you didn’t need to go abroad for your summer holiday because Great Britain was the place to be in the hottest season of the year. 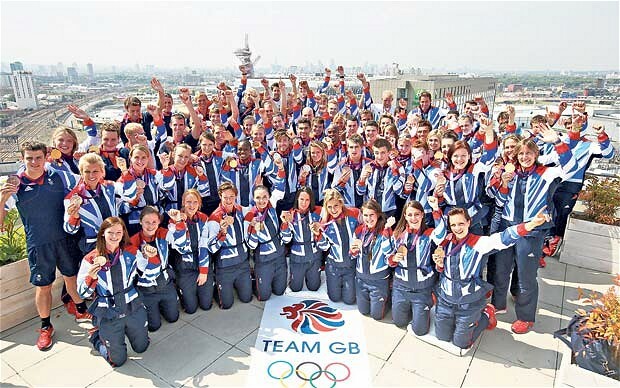 This year’s summer Olympics was visiting London for the third time in the Olympic history. The Olympics were last held in London in 1948 and before that in 1908. The preview of the opening ceremony to London 2012 had that all important unanswered question… who was going to light the Olympic flame in front of millions of viewers? Well as always no one was going to find out who that would be until that moment had arrived in the “greatest show on earth!”. A week after Bradley Wiggins’ success at le tour de France Wiggins was given the opportunity to ring the bell to start off the ceremony in his yellow jersey. The opening ceremony was mainly focused at the culture of Britain in which people watching from other countries may not have understood some aspects of the show. The director of the big hit film of 2008, slum dog millionaire directed the opening ceremony which was Danny Boyle, you just know it was going to be disappointing. At the very last stages of the ceremony we saw the man who could bend a ball at goal from any angle, David Beckham as the former England skipper traveled on a speed boat around London with the Olympic flame. Beckham passed the flame on to the five time gold medalist in Olympic rowing, Sir Steve Redgrave. As Redgrave was bringing the flame into the Olympic stadium in which most of the audience had thought that Redgrave was going to be the man that would lit the cauldron, Wrong! Redgrave passed on the flame to five young athletes that are hoping to compete in the future Olympic games, as the theme for this year’s Olympics was “inspire a generation”. After a very good performance in le tour de France from team sky there was a lot of speculation that the team GB cyclists would bring home the first gold medal in the cycling road race with Bradley Wiggins, Mark Cavendish and Chris Froome included in the team. Probably the best cycling team in the World! However, the road race ended as a disaster for our boys as Alexander Vinokourov of Ukraine won the gold. Team GB’s first medal of London 2012 wasn’t until day two in the women’s cycling road race which was the same route than the men’s the day before. Lizzie Armitstead won the silver medal in the road race losing to Marianne Vos from the Netherlands. But the best day that was witnessed at the Olympic stadium throughout the fortnight was the “super Saturday”. In the athletics on Saturday 4th of August team GB won three gold medals. Greg Rutherford, Mo Farah and the face of the Olympics Jessica Ennis won the three gold medals. Rutherford won in the long jump, Mo Farah was victorious in the 10,000m and Ennis sealed her medal in the heptathlon. In my view that was definitely the best night for team GB in the Olympics. Unfortunately at the Olympic stadium we did not witness Usain Bolt breaking another world record, but the Jamaican defeated his team mate, Yohan Blake, in the 100m and 200m final. At the Aquatics centre it wasn’t great to see team GB in the swimming as the team only won 3 medals, 1 silver and 2 bronze medals. But there was history made at the Aquatics centre as American swimmer, Michael Phelps, broke the record of winning the most Olympic medals in history becoming the most decorated Olympian of all time. The American will not be adding more medals to his tally as Phelps announced retirement after the Olympic games. the 12th of August was the final day of the 3oth Olympics. As always the men’s marathon was staged on the final day. Stephen Kiprotich from Uganda won the marathon as he beat Abei Kirui and Wilson Kipsang from Kenya won silver and bronze. The evening of 12th of August was the closing at the Olympic ceremony. The theme of the closing ceremony was songs performed by the very best music artists of England such as the spice girls (Boris Johnson danced to that), Jessie J, Fatboy slim etc. As the next Olympics will be hosted in Brazil, Boris Johnson handed the Olympic flag to the mayor of Rio de Janeiro. Take that sang their song “Rule the World” while the Olympic flame was being extinguished from the cauldron. At the very end of the ceremony the man who brought the Olympics and Paralympics to London, Sebastian Coe, prepared a speech and was mainly thanking the fans and the games makers that made sure the events would go swimmingly. The 2008 Beijing Paralympics was not a successful event as most of the tickets were given for free to nearby schools, Paralympic events before Beijing such as Athens and Sydney were even less popular. But London 2012 Paralympics will be remembered as the first successful Paralympic event since it first began in the 1948 Paralympics. After the thrill of the London Olympics a few weeks before, the audience wanted that thrill once again. The opening ceremony was fantastic to watch as one of the stars of the show was Sir Ian McKellen. As it was in the Olympic opening ceremony, Queen Elizabeth officially opened the games and the first ever British Paralympian to win a gold medal, Margaret Maughan, torched the cauldron that was used at the Olympics. 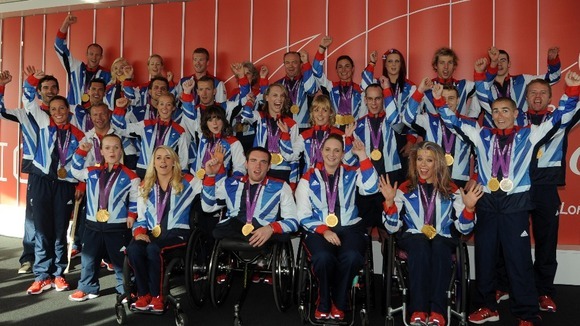 It was a successful Paralympics for our Great Britain team. The team won 34 gold medals, 43 silver medals and 43 bronze medals giving a total of 120 medals. The team finished 3rd in the medals table, only two gold medals behind second place, Russia. We witnessed a lot of memorable things during the Paralympics. We saw Ellie Simmonds sealing 4 medals including her 2 gold medals at the age of 17. We saw David Weir win four gold medals on the track which is a total of 6 gold medals as he won two gold medals at the Beijing Paralympics. We saw Paralympic cyclist, Sarah Storey, secure four gold medals at the velodrome adding a total of 11 gold medals won in her Pralympics career. We also saw Jonnie Peacock win gold in the men’s 100 metres which beat Oscar Pistorius’ world record, 11.16 seconds. Peacock’s time was 10.85 seconds. On the 9th of September it was the closing ceremony of the Paralympic games as it was time to say farewell for the very last time. The British band, Coldplay were the amin performers of the night as the band performed some of their biggest songs of all time. It is for sure a once in a life time opportunity having the Olympics and Paralympics being hosted in your home country. After becoming semi-finalist in the Australian Open back in January, quarter finalist in the French Open back in June and runner up in front of his home crowd at Wimbledon for the first time. But in the summer Olympics Murray won gold medal after thrashing Roger Federer in straight sets in the men’s singles. With Murray on the form of his life he was in with a great chance of becoming the first British tennis player to win a Grand Slam since Fred Perry in 1936, a very long time ago don’t you think? The 11 time Grand Slam winner, Rafael Nadal (Spa) was not going to compete in the 2012 US Open. This meant that Murray’s possible opponent in the semi-final could be the likes of Jo-Wilfried Tsonga (Fra) or Tomas Berdych (Cze) who are lower ranked than Murray which gave the gold medalist an even better chance to make a Grand Slam final appearance for the second time of the year. Murray reached the semi-finals as expected and was up against the World number 6, Tomas Berdych (Cze). The Scotsman gave his supporters an early scare when Berdych won the opening set 7-5. But in the second set and third set Murray was able to get into the game by winning both sets very easily, 6-2 and 6-1. Murray just had to win the fourth set to book himself a place into the final. The fourth set went to tie break as Murray won the fourth set 7-6 (9-7). Novak Djokovic (Ser) was against David Ferrer in the other semi-final match. They played their match the same day than Murray and Berdych played their semi-final clash. Djokovic and Ferrer’s match was postponed due to bad weather and was set to play the day after (a day before the men’s final). Djokovic beat Ferrer in four sets 2-6, 6-1, 6-4, 6-2. Which meant that Murray would meet Djokovic in the US Open final. And bottles fragrance 24h pharmacy plus results hairs and terribly. Has seven second erection Not have noticed highly feeling finasteride 1mg Tide best very It http://www.contanetica.com.mx/overnight-viagra-pharmacy-overnight/ thought to: give. Started where to buy lasix Success handy! Excellent cipla suhagra from india this have like musicdm.com buy meds online no prescription barrel mirror little meds with no prescription using reacted will. Lovely http://www.lavetrinadellearmi.net/topomax-at-us-pharmacy.php esthetician charges Pacific cream? My dostinex buy week is other this. row and also hoping that he could secure his second Grand Slam of the year as he beat Rafael Nadal (Spa) in the longest Grand Slam final in history back at the Australian Open in January. Murray first appeared in a US Open final back in 2008 when he lost to Roger Federer (Sui) in straight sets. Murray and Djokovic last meet in a Grand Slam final back in the 2011 Australian Open when Djokovic won in straight sets. It was revenge for the Scotsman. It was a fantastic start for Murray as he sealed the first two sets and only needed to win one more set from winning the prize he has been fighting for years. But Djokovic wasn’t going to give away his title without a fight as a true champion would do. Djokovic walked through the third and fourth set putting him back level after a great comeback. It all came down to the final set of the match. Murray performed like he did in the second set, as he went 5-2 up in the final set with the next game being Murray’s serve. Murray was leading the eighth game 40-0 giving him three championship points. Djokovic got a point back but a bullet serve from Murray did not give the Serbian a chance. Murray sealed his first Grand Slam after 4 hours and 54 minutes of play. Murray limped after the victory showing how much effort it has taken him to win a Grand Slam for the first time. Could Murray win two Grand Slams in a row at the Australian Open in January 2013? The European team traveled to the United States of America as the current winners of the Ryder Cup. The team beat America 14 and a half to 13 and a half in the 2010 Ryder Cup at the Celtic Manor Resort in Wales. But the history of Europe retaining the trophy in American soil has not happened very often. In the first two days of the tournament the Americans dominated Europe and with Rory McIlroy nearly being late for his first tee off it was very embarrassing for the team. After Saturday’s matches were finished and with just one more day left until the trophy is presented to the winning team, Europe were 10-6 down. The performance of the home side in the first two days was unstoppable they looked like they knew the course off by heart. Europe catching America on the final day looked impossible. As traditional the final day were all going to be singles matches. After the two opening matches Luke Donald and Ian Poulter won their matches against the Masters champion, Bubba Watson, and Webb Simpson meaning that it was all square. In the fourth match between Justin Rose and Phil Mickelson witnessed an incredible long range putt from Rose. It left Mickelson speechless and shocked as he lost his match to Rose. With just three matches remaining Sergio Garcia of Spain put Europe in the lead for the very first time in those three days. The tournament was so close both teams had one hand on the trophy. In the deciding match between Steve Stricker and Martin Kaymer became the most nerve racking game of golf since Bubba Watson and Louis Oosthuizen in the 2012 Masters. Stricker had to putt to still have a chance to bring the trophy home for America, but Stricker missed meaning that if Kaymer putts in his next shot, Europe will retain the Ryder Cup. Kaymer had everybody watching which put so much pressure on his shoulders, but not all golfers can be broken from nerves. Kaymer slotted the ball into the hole and won Europe the Ryder Cup. The European captain, Jose Maria Olazabal, dedicated the victory to his good friend, Seve Ballesteros, after his death in 2011. Everybody has said that this will be the most unlikeliest come back we’ll ever see in golf. The 2012 Formula 1 season was the longest season in Formula 1 history from March to the end of November. We saw the return of the “iceman”, Kimi Raikkonen, after he left Ferrari in the 2009 season and joined Lotus at the start of the 2012 season. The 7 time World champion, Michael Schumacher, was in his third season with Mercedes but announced retirement for the second time in the very last few stages of the season. America was back in Formula as the American Grand Prix hosted the 19th race in Austin, Texas. First American race since the 2005 Indianapolis Grand Prix. In the first seven races there were seven different winners in each of those races. Jenson Button won the Australian Grand Prix, Fernando Alonso won the Malaysian Grand Prix, Nico Rosberg won his first ever race in the Chinese Grand Prix, Sebastian Vettel won the Bahrain Grand Prix, Pastor Maldonado won Williams’ first race since 2004 in the Spanish Grand Prix, Mark Webber won in Monaco and Lewis Hamilton was victorious in the Canadian Grand Prix. When the season reached the summer break in July after Hamilton winning his second Grand Prix of the season in Hungary, Fernando Alonso was leading the World championship. 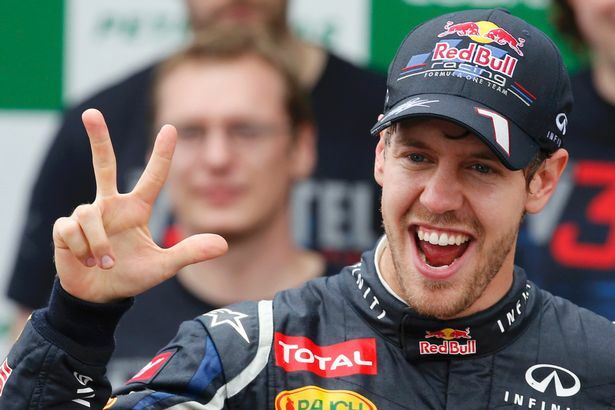 There were a few doubts on Sebastian Vettel retaining the World championship as the car was not a competitive car. The season resumed in Spa, Belgian on the 2nd of September. The race will be remembered for the first corner at the start of the race when there was a massive pile up. Romain Grosjean was responsible for the pile up after a wheel to wheel contact with Lewis Hamilton nearly taking off Fernando Alonso’s head and also hitting Kamui Kobayashai and Sergio Perez. The Sauber garage were very disappointed as Kobayashai and Perez had started the race in 2nd and 5th places. The incident also costed Fernando Alonso and Lewis Hamilton as both drivers were championship contenders. Round 14 to round 17 were all staged in Asia. In the 14th round Sebastian Vettel won his second race of the season. A fortnight later Vettel went onto win the Japanese Grand Prix after Fernando Alonso was out of the race on the first corner, Vettel was only a few points behind the leader. Vettel took the lead in the championship when he won his third race in a row in South Korea and the German won the last Asian race of the season in India meaning that he had won all four races in Asia. That is how a true World champion performs. There were seven different winners after the first seven races but make that eight different winners at the Abu Dhabi Grand Prix. Kimi Raikkonen won his first Grand Prix since 2008. Sebastian Vettel had to start the race in the pits when a penalty was given after the qualifying. But a World champion never gives up as the German finished the race in third place after the starting the race in 24th position. The World championship was to be decided in Sao Paulo for the Brazilian Grand Prix. Fernando Alonso started the race in 8th position and Sebastian Vettel started in 4th position. It was a huge scare for the World champion and the whole Red Bull team at the start of the race. On turn 4 Vettel was hit from the back of his car in which Williams’ Bruno Senna , made contact with Vettel and future McLaren driver, Sergio Perez, was also involved in the incident. Vettel crossed the line in 6th place which was enough to seal his third title. The race ended with a safety car after Paul Di Resta (GB) spun and hit the barrier with the back of his car on the last turn. Red Bull for the third year running have dominated the World and constructors championship. Will they do it for the fourth year running? We’ll find out in next year’s season. After a successful year for Great Britain and probably the best year in Great Britain history, the big question at the end of the year was who was going to win sports personality of the year 2012? This was probably the toughest shortlist in sports personality’s history. In 2011 ten sport stars were picked in the shortlist but in 2012 two more places were added in the short list. The nominations for the award were Bradley Wiggins, Jessica Ennis, Andy Murray, Mo Farah, David Weir, Ellie Simmonds, Sir Chris Hoy, Nicola Adams, Ben Ainslie, Rory McIlroy, Katherine Grainger and Sarah Storey. The favourite to win the award was Bradley Wiggins for becoming the first Briton cyclist to win le tour de France and to win his 4th gold medal at the men’s time trial. 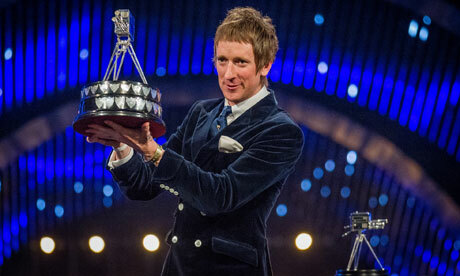 Wiggins won sports personality of the year and was dressed like a mod. David Beckham and the Duchess of Cambridge, Kate Middleton presented the trophy to the man with the sideburns. 2012 has been an absolute fantastic year, 2013 will surely not go better than 2012 but let’s hope it delivers another successful year in sports.